The Clover Club cocktail is one of the classic cocktails that should live on in every bartender's repertoire. 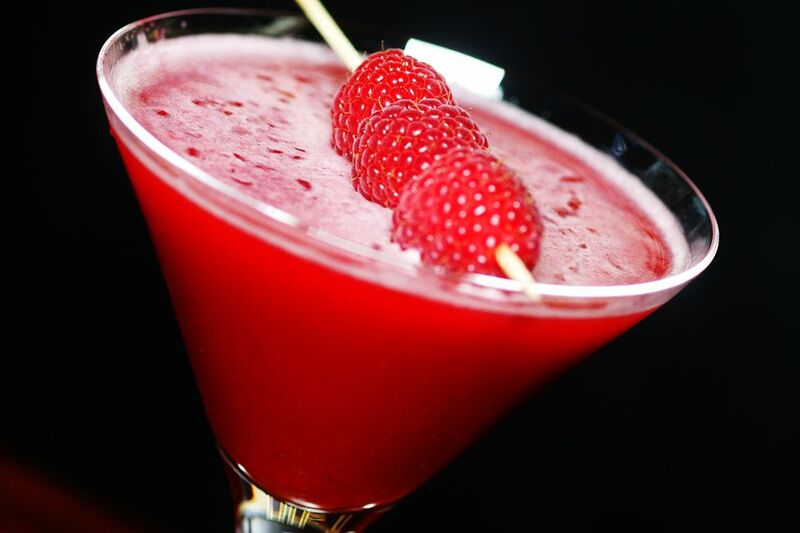 It is a rare treat among the classics because it mixes gin with the sweet flavor of raspberry syrup, creating a most delightful and very delicious drink. According to "The Old Waldorf-Astoria Bar Book," the drink was first created at the bar of the Bellevue-Stratford in Philadelphia. It was a popular hang out for "literary, legal, financial, and business lights of the Quaker City" during the late 1800s. Today, grenadine is often used in place of the raspberry syrup. However, Gary "Gaz" Regan advocates for raspberry syrup in "The Joy of Mixology," because "without it, this drink isn't much to talk about." If you were to compare Clover Clubs made with the two ingredients, you'd likely agree. The other essential ingredient in this drink is the egg white. It adds a luscious foam to the drink for a great finishing touch. Shake vigorously (more than normal to properly mix the egg and sugar). Any gin should work fine in the Clover Club. Try it with a traditional London dry gin or Plymouth Gin, which has a slight fruitiness and fuller body. It's easy to make your own raspberry syrup. It's just like any other berry-flavored simple syrup recipe; for 1 cup of water and 1 cup of sugar, use 1/2 to 1 cup of raspberries (fresh or frozen). You will want to strain it well to remove as many of the berry's tiny seeds as possible. Fresh lemon juice is highly recommended in this recipe. You should be able to get 1 3/4 ounces of juice out of the average lemon, which is plenty for a couple of drinks. Make sure that you're mixing with a fresh egg. Give your egg a quick test by placing it in a glass of water; if it sinks, it's fresh and good to use in drinks. You might want to switch to simple syrup and skip the sugar. The syrup dissolves better in cold drinks, which is why it's used all the time when mixing cocktails. Just a small amount—about 1/4 ounce—should do. Skip the egg white if you prefer to avoid drinking raw egg. Chambord or another raspberry-flavored liqueur are fine substitutes for raspberry syrup and would be preferred over grenadine (which is pomegranate flavored). How Strong Is a Clover Club Cocktail? Since gin is the only liquor in this cocktail, it's one of the milder gin "martinis" you can mix up. On average, it should weigh in at just 17 percent ABV (34 proof), almost half the strength of the gin martini.